….activity is right on your back doorstep. As a consequence the pricing of properties in this “enclave” is right up there, in terms of Nelson property values. 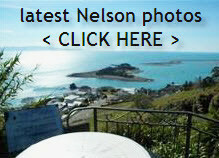 Plenty more photos over at Nelsonians Life….just type “MONACO” (less the quote symbols) in the search box there here. This entry was posted in Buyers, General, Nelson, photography and tagged Buyers, buying, coastline, Nelson, NZ, photography, Stoke on January 2, 2013 by David Leggott.